With Microsoft Teams completing one year this week, the company is set to unveil new features, including Cortana integration and inline message translation for Teams -- the company's answer to business communication service rival Slack. "This week marks the first anniversary of the worldwide launch of Microsoft Teams. 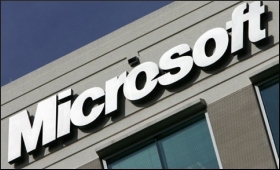 Today, 2,00,000 organisations in 181 markets and 39 languages use Teams," Microsoft wrote in a blog post late on Monday. The added integration with Cortana's digital voice assistance could give Microsoft an edge in its battle with Slack as the importance of voice-based computing in the workplace and within business productivity applications grows. "Will enable you to easily make a call, join a meeting, or add other people to a meeting in Teams using spoken, natural language. This functionality will extend to IP phones and conference room devices," the company added. Other features that would be rolled out throughout the year include Cloud recording, background blur on video, proximity detection for Teams Meetings and mobile sharing in meetings. Inline message translation would allow Microsoft Teams participants to automatically translate messages in channels and chat messages.